Bravo to Publicists everywhere for its National Publicist Day. A rare occasion that honors the usually behind-the-scenes celebrity-makers, brand-makers, influencers and the like. Let’s hear it for Publicists everywhere. What is a publicist, you say? Publicist (def): A publicist is a person whose job it is to generate and manage publicity for a company, brand, or public figure, especially a celebrity or for a work such as a book, film or album. Most top-level publicists work in private practice, handling multiple clients. One of the hardest, most stressful and most rewarding worker-bee jobs you can have is that of a publicist. I do fall in this category. 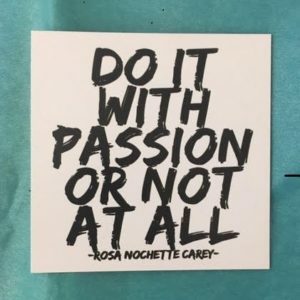 While my talents have morphed over the years to keep up with and move ahead of the times – the invaluable training I received at Warner Communications as a glorified publicist stays in my blood. ONCE A PUBLICIST, ALWAYS A PUBLICIST! It’s true. Once a Publicist, always a publicist. And, proud of it! P. T. Barnum (1810 – 1891)`– The original showman, Phineas Taylor “P. T.” Barnum a/k/a P.T. 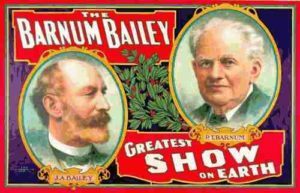 Barnum — credited with creating the circus concept with his “Barnum’s American Museum” (1841), “P.T. Barnum’s Great Traveling Museum, Menagerie, Caravan, and Hippodrome” (1875); a few other formations. until it eventually led to the formation of the beloved Ringling Brother’s Barnum & Bailey Circus. Harry Brand (1895 – 1989) – the fun-loving Brand became the first publicity director of 20th Century Fox studio in 1935. Known as the “Herald of Hyperbole” and a prominent fixer, he used his connections and powerful columnists to keep scandals and indiscretions involving his clients from making headlines. 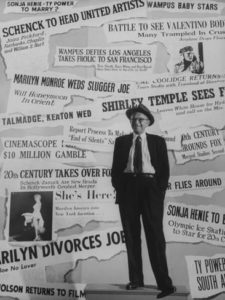 At his death, he was recognized as the last of those infamous hype-men known as the Hollywood Press Agent.